First I picked The Matriarch, the least expensive ($90) of Harlan’s 2005 lineup of 7 wines, as my top wine in a tasting at the winery. Then, a few weeks later, I chose a Paso Robles Pinot Noir (Adelaida 2006 HMR Estate, $30) over 11 others from the North Coast, including some famous, pricey bottlings. A couple days after that, my top Cabernet, in a tasting that included Staglin, Beringer Private Reserve, Flora Springs Trilogy, Rubicon Cask and Whitehall Lane Reserve, was Justin 2006 Reserve, also from Paso Robles. What’s going on? Each of these three tastings was conducted blind. That eliminated the element of bias based on knowing what you’re drinking. Blind tasting is enlightening, but it also exposes the critic to the possibility of embarrassment. Reputations can be shattered. But truth is a higher value than a reputation, and if a Paso Robles Pinot bests several from the Russian River Valley, then so be it. One thing my friends, my fellow bloggers, have taught me is the importance of truth and its handmaiden, transparency. Winston Churchill once remarked, “In wartime, truth is so precious that she should always be attended by a bodyguard of lies.” But wine tasting is not war, and deception has no part in the critical process. The reason why tasting wines blind is so important can best be illustrated by what may happen when you don’t. When I did my annual tasting at Harlan in October, I was startled when Bill Harlan told me he had never tasted his own wines blind. Nor had he ever tasted all seven in a lineup. Nor had at least one of the world’s most famous über-critics who had just been there. In fact, Bill said, he was amazed that I had the cojones to taste his wines blind, and then inform him and his winemaker, Bob Levy, of my conclusions before the wines were unbagged. Wouldn’t I be embarrassed if I got them “wrong”? Well, no. There’s never any reason for embarrassment if you’re truthful. You can’t be wrong if you tell it like you see it. The worst that can happen is someone will disagree with you. On the other hand, I think there would be room for embarrassment if you’re looking at the labels as you taste, and then conveniently rate Harlan Estate ($450) at the top, and score everything else down from there, based on descending price. That’s why The Matriarch got the highest score in my tasting. Since I didn’t know what it was, I had to go by one parameter only: How good it tasted. And let me assure you, that Matriarch was one gorgeous wine. Ditto for the Adelaida Pinot Noir, which comes from one of the highest and coolest parts of the Paso Robles appellation, and whose vines are among the oldest Pinot plantings south of the Santa Cruz Mountains. A 1975 Pinot from the vineyard, crafted by André Tchelistcheff for the previous owner, Hoffman Mountain Ranch, may even have taken first place in a famous 1979 GaultMillau tasting in Paris that included Romanée-Conti (for a fascinating exercise in investigative journalism, check out this 2005 article on the tasting by my late friend, David Shaw). But the point is that far western Paso Robles is capable of producing excellent Pinot Noir, and the only reason a critic wouldn’t understand that is if he was so mesmerized by the words “Paso Robles” on the label that his brain was deceived into not appreciating what’s in the glass. Today’s young bloggers talk about bringing revolutionary change to the entire field of wine writing and criticism. Imagine if everybody tasted completely blind, all the time, in such a way as to level the playing field utterly. How soon would it be before the great and famous wines of the world were losing out to less expensive, upstart rivals? That would be truly revolutionary. I urge young bloggers, as you increasingly get the chance to taste really famous wines — and some of you will — do so in lineups that include “lesser” wines, and do so blind. Many of America’s top critics — the ones you hope to, and maybe someday will, replace — don’t taste blind, even if they say they do. But you should. Rep. Mike Thompson, the Democrat from Napa, Sonoma, Lake and Mendocino counties, is said to be Barack Obama’s pick for Commerce Secretary. This is fantastic news for the wine industry. Mike is a solid friend to wineries, and he even owns vineyards in Lake County. Good pick on President-elect Obama’s part. You should try throwing in two of the same wines (or having someone else throw in two of the same wines so that you don’t know which wines are being thrown in) when you do a blind tasting–like they do in the book The Wine Trials. A test-retest reliability analysis would let you know how your taste buds are doing at the time. Dr. H., that’s a good idea. I’m going to try it. Blind tasting is a fun exercise. But it levels the field the wrong way. Wines should be evaluated in the context of cepage and terroir (and there is an undeniable distinction between Adelaida’s HMR pinots and ABC’s Bien Nacido pinots, Clos Pepe and Fiddlestix pinots (the list can go on). Blind tasting assumes that all grapes and growing regions are the same. Sure, you can argue that the concept of terroir is irrelevant to the AVA system because of its very political nature. But the examples I noted (and many many many more) speak to the distinctiveness of wines from certain localities. Then there is the interjection of personal preference and enjoyment over the merit of the wine in the context of cepage and terroir. If all we are concerned about how tasty the wine is to the non-professional, why the hell do we bottle varietal wines and why do we stake an AVA’s reputation on specific varieties and how they are unique (but still representative of the variety) in that AVA? Arthur, when you say there is “an undeniable distinction” between various Pinots, are you prepared to prove that in repeated blind tastings? Just a suggestion. You should consider doing a tasting panel at UC Davis. They’ve just moved to their new facility with a fancy sensory evaluation lab. I think you’d find it very interesting. I’ve been a fan of Sauternes ever since being on a panel where we tried to define the flavors created by botrytis. You can take the train if you don’t want to drive. The people’s republic of Davis would welcome you. V&E students would welcome you to their weekly tastings, too. Brad, I’ll be co-teaching a course at UCD on winery communications with my friend, the esteemed Tom Wark, on Dec. 5. I’d be happy to participate in other UCD classes, if anyone wants to invite me. Whilst I am a fan of blind tasting and like to partake when ever possible and whenever the company will humour me, I can understand why some critics do not taste blind. 99.9% of consumers don’t taste blind. They drink with full knowledge of the label. Whilst this might create bias, some of this may be of value. A cheaper wine of less pedigree and standing may be more approachable and noteworthy. Likewise a wine of balance and poise may be less noticed in a line up, where the loudest or boldest might grab attention. The ideal would seem to be a blind taste off, with declared comments and then a re-taste once the wines have been unmasked. Presumably this would allow initial impressions to be tested. Tasting with knowledge (of the label and therefore the vineyard, grower, vintage conditions etc) though possibly laden with bias allows the best final summation of the wine. (How does it sit with previous vintages, how does it compare to it’s peers etc etc). Finally regarding having 2 ‘identical’ bottles in the line up – this will surely only prove the vagaries of cork and bottle to bottle variation. . . I am not the only one who recognizes that wines from different localities are distinct. Among the better producers, there is a commonality of character to wines produced from a specific area or even a vineyard. I have nothing to prove, because these unique commonalities are intrinsic to the wines and not to me. But I do welcome you to my house the next time you are in LA so we can explore this with a table full of wines. Steve, I couldn’t agree with you more on the importance of blind tastings. I fall into the “young blogger” category and except for public tastings or visiting a winery, we do virtually all of our tastings blind. We’ve been hosting monthly wine tasting dinners for many years in which we taste six wines blind. Frequently, we have a variety of price points and reputations represented. It’s always fascinating to see how the results shake out when price, reputation, a pretty label, or whatever other factors generally influence people are taken out of the equation. Where did you hear the story about Mike Thompson? I thought Commerce was going to Richardson. Thompson’s name had been discussed as possible Interior Secretary. And I was looking forward to planting vineyard on Federal Lands….maybe even next to casinos on Indian reservations. Now, I have to do a whole new business plan. Morton, It was floating around the internet this morning…which is why I said it was being discussed, not a done deal. Personally, I hope it happens. Steve, great writing and I like blind tasting. There have been many studies to show that if you were to tell people price, it changes there opinion generally to take the more expensive. Having worked in tasting rooms, I can tell you that there are a high percentage of people that ask for library or more expensive wines daily! I know Paso is not Napa, as I have been to hundreds of Napa tasting rooms and have never heard someone ask for more expensive. I happen to believe that price is important, but I also believe in value. I have never paid once purchased a Harlan Estate wine. I have drank it about 6 times, but can tell you in my opinion, it is not worth $90 per glass! For that price I could buy 5 bottles of Matriarch! There are to many great wines out there for under $50 per bottle, which allows me to buy 9 bottles vs one bottle of Harlan. All due respect to Steve, I follow political blogs fairly closely and from what I see there is zero talk of Mike Thompson getting Commerce – it’s going to Richardson – but he looks like the favorite for Interior, and I say that’s a very good thing. Really interesting stuff Steve – thanks. My thoughts: if you want to become a wine critic, then blind tasting needs to find *some* place in your repertoire as a taster, for all the reasons that you mentioned – let the wine say what it needs to tell you without the aid of labels, cache, etc. And don’t mind anyone who thinks you could get the “wrong” answer. Otherwise, I strongly agree with edward’s comment – the wine consumers don’t taste wine blind. 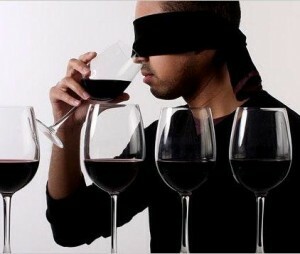 If you want to offer wine suggestions to consumers, then blind tasting is not an essential part of your diet. Over the last 35 years in the wine business i have been blessed with working with and knowing some of the best winemakers in the business. I have participated in hundreds of blind tastings where we routinely look at the competition and our own wine or we get together after work and blind taste a new vintage of Bordeaux or Burgundy or Napa Valley Cabs. Three things I have learned from this. 1) The group consensus is always in favor of a basic well structured wine with no outstanding (good or bad) characteristics. Anything that has a strong characteristic is scored down by those who dislike greater than it is scored up by those who like it. 2) There is always someone, a winemaker with an expert palate, who loves the wine everyone hates. 3) There are always surprises the “$35 Cab made by the big corporation” is preferred to the “$200 cult cab” by one or two tasters or the entire group. These kind of results are sometimes humbling, sometimes troubling, but always interesting and important if one is to keep perspective. When I read most critics it is easy to see who tastes blind and realize that few do. We know Parker doesn’t taste blind because he comes to our wineries and tastes what we present to him. He doesn’t score them, I have watched him make notes, so we know the scores come sometime later when the whole thing is organized for publication. It’s pretty evident Parker judges wine based on who made them or who owns the operation…it makes for a simple, safe, and consistent story. We know the Wine Spectator groups wines by price and reputation. When the results are always what you might expect based on price or reputation you know the taster is looking at the labels or has organized the tasting so that all the expensive cults are tasted against one another and all the nationally marketed wines against themselves. I applaud any critic who has the courage to taste blind, not group by expectations, and call things the way they fall. I realize it’s been a while since you left this comment, but on the off chance that you might check back- I’m curious about your comments about the Wine Specatator’s tasting methodology. You say “We know the Wine Spectator groups wines by price and reputation.” yet they claim “No information about the winery or the price of the wine is available to the tasters while they are tasting.” (from http://www.winespectator.com/Wine/Free/Wine_Ratings/About_Tastings/0,4634,Format,00.html). I was hoping you could inform me how we should know that Wine Spectator groups wines by price and reputation? Bob, the only light I can shed on this topic is that, when I worked for Wine Spectator, I sat in on tastings once or twice. One that I remember was that the bottles were in paper bags and the tasting coordinator told us, “Today you’re tasting premier cru white Burgundy.” I don’t recall whether or not we knew the vintage. So we knew the general category, but not the specific wines. I don’t mean to hijack this thread, but would like to address the questions about Wine Spectator’s tasting methodology (it is also explained in the FAQ section of our Web site). Wine Spectator reviews of new releases are based on blind tastings (with a few exceptions, which are always noted). The tastings are arranged in flights of 20-40 wines, tasted by a single editor whose initials appear on the review. Neither price nor producer is ever disclosed. Vintage, appellation and grape variety are normally disclosed, in order to give the taster appropriate context for evaluation. For example, I review the wines of Spain. I know that 2002 and 2003 were very different vintages, and Rioja and Toro are very different regions, so I think it would be inappropriate to include a 2003 Toro in a flight of 2002 Riojas, or vice versa, without specifying these attributes. You could argue that this makes the tasting less blind, but I think it makes it more fair. For me, producer and price are the factors that are most likely to sway a taster’s judgment unfairly. Among 20 2002 Riojas in brown paper bags may lurk a $10 crianza from a cooperative and a $150 “vino de autor” from a boutique bodega. I don’t know which is which, so I can’t favor the value wine (which may be an advertiser) or the cult wine (which may have high scores from other critics). I simply evaluate all the wines on how well they succeeded in expressing the character of Rioja in a cool vintage. Tom, you’re always welcome on my blog! I’ve written a lot about how I taste. If you have specific questions, let me know. Nothing to hide.